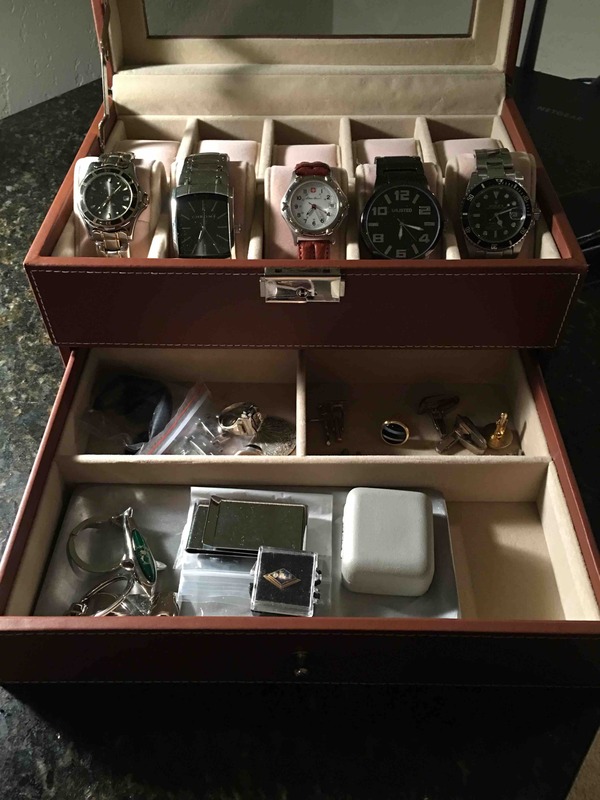 I needed a jewelry box for my collection of watches and various small jewelry items. 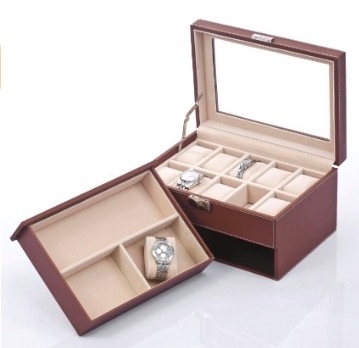 I did not have anything that stored my watches and jewelry before, so I wanted something cheap and relatively fancy. 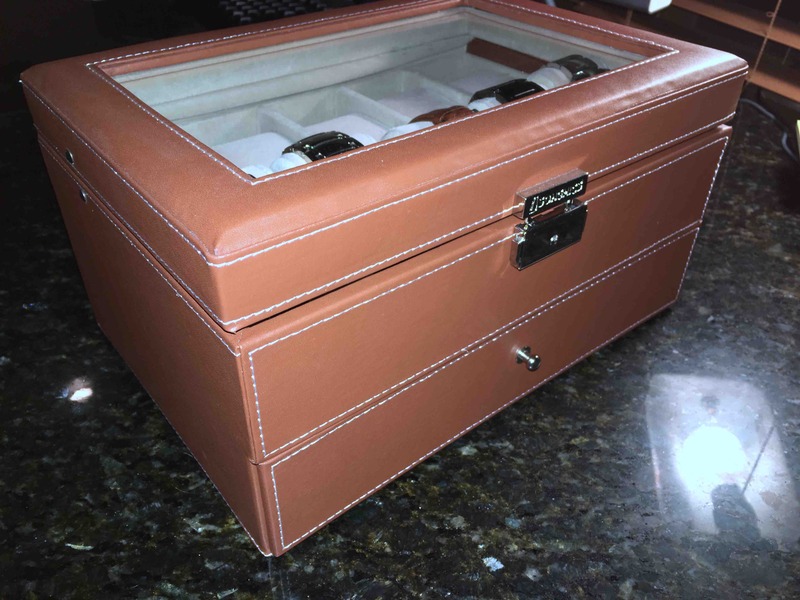 When I read the positive Amazon reviews for the Songmics Brown Leather 10 Watch Box with Jewelry Display Drawer Glass Top Lockable Watch Case UJWB007 , everyone agreed it was the perfect size for storing their watches in. I particularly like the the brown leather over black because it matched my bedroom set. 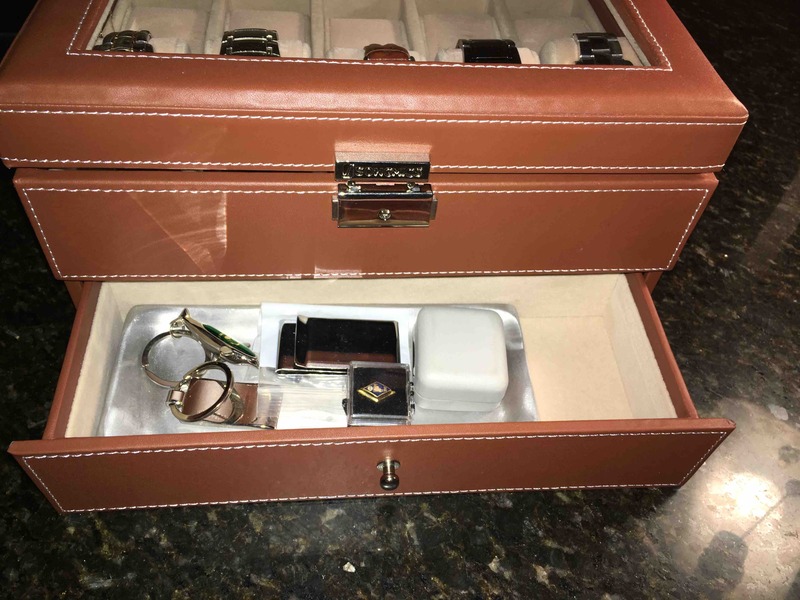 This Jewelry box serves it’s purpose well and I am able to fit all my Jewelry items inside of it with ease. The box drawers open easily. The top latches top open and close. Sometimes I don’t leave it latched close shut, as it takes two hands to open the latch and top at once. After owning this Jewelry box for over a year and after daily use, it still smells like the original rich new leather. I am highly pleased with this unit and recommend it. Buy the Songmics Brown leath watch bo here.